Does the new Haval H2 live up to the hype? No. But read on – don’t stop here. 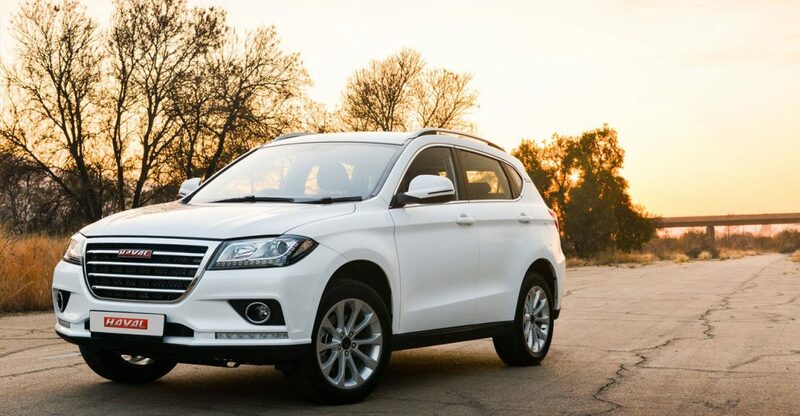 You see, few, if any, auto brands have hit the market to such a compelling round of applause as has Haval – the luxury sub-brand of GWM. And probably no previously unknown nameplate has ever had quite the reception that this Chinese brand enjoyed with its H2 compact SUV just a few short months ago. Even normally critical media has been pretty rapturous about the H2 – which slots into a segment that’s not just busy but close to overtraded, what with every second manufacturer proffering a compact SUV these days. Indeed, overwhelmingly positive feedback from the motoring media abounded. Most of all, the general take from media and customers was: yes, it’s a Chinese vehicle. But not like any that you’ve experienced. Ever. Which probably helps explain why on its home market last year, Haval moved over one million units. Pause to let that figure register. So does the H2 warrant the golden praise glittered on it? Well, I’ve just spent a week living with the H2 1.5T Luxury auto – the halo model in the range – and the answer is: no. It exceeds it. Now it’s a handsome, elegantly restrained vehicle this, and the two things strike immediately. One, the fit and finish. Inside and out the H2 is rendered and wrought to the sort of standards you’d expect from a Teutonic vehicle. Equipment levels are excellent. From an electric sunroof to a big infotainment screen to tyre pressure monitoring to electric front chairs to six airbags – which help it achieve a five-star C NCAP rating. The list goes on and on. Just one of many, many nice little touches is the classy puddle light that shines on the ground next to the car, displaying a prominent “Haval.” God, as they say, sure does live in the details, while inside soft-touch plastics abound. As do controls that operate with silken precision. Two, it’s the ride quality that astounds. The H2 rolls over pretty much all surfaces – although of course it’s not a full-on off-roader, with power only to the front wheels – like it’s rolling on greased banana skins. Smoother than Devonshire cream. Power, of course, comes from a 1.5-litre turbopetrol making 105kW and 202Nm of torque from as low as 2 200rpm. Gearchanges are taken care of by a six-speed auto that’s – you guessed it – smooth, slick, silken. Most of all, the H2 is the perfect antidote to this Age of Anxiety – as the current era has been dubbed. It’s calming and balming, but never soporific, in almost any conceivable application. And I tried most of them. Open-road, inter-city cruising, with the rev-counter registering a mere 2 000rpm or so? Tick. Bumper-to-bumper, dark-satanic-mill daily traffic? Tick. Loaded up with friends, luggage, and Milo and Daisy, my two constant canine companions (those hardy, accommodating seats, of course, protected from little paws with sheets). Tick. And naturally the H2 is merely at the vanguard of more cracking Haval product, with the bigger H6 C just launched, and the yet larger, plusher, precedent-setting H7 scheduled to be here next year. And, of course – as with all Haval product – it comes with a five-year/100 000km warranty plus a five-year/60 000km service plan. But it’s the price that astounds the most. The five-model range starts at just R244 900. The range-topping, halo model H2 1.5T Luxury auto here rolls in at a whisker under 310k, at R309 900. As a motoring writer I drive around 100 new cars a year. Most are good. Some are brilliant. Just a few you have to – absolutely have to – test if you’re shopping in that particular segment. I insist. The H2 is one of them.